Priority Axis 4: Enhancing Mediterranean Governance. The Priority Axis 4 aims to contribute to a dialogue on macro regional and sea basin strategies in the Mediterranean and to generate cooperation and consensus raising among Mediterranean regions and participating countries on issues currently lacking common agreements and operational plans. Specific objective 1: To support the process of strengthening and developing multilateral coordination frameworks in the Mediterranean for joint responses to common challenges. As the MED Programme aims to benefit from and contribute to the framework of already existing macro-regions and other possible strategic framework emerging in the future, it is opting for specific projects which can facilitate appropriate tools and mechanism to ease the implementation of better governance and thematic integration in the Mediterranean. This objective will be reached by a “Platform of national authorities project” programmed under the Axis 4, and with the financing of specific projects emanating from the work of intergovernmental and interregional working groups under the Platform initiative. The Mediterranean area is one of the most heterogeneous EU cooperation areas. Geographical, economic and political contexts can vary significantly from one region to another and implementation of shared operational plans on the overall area in key sectors like maritime safety, transports, energy or pollution and environmental protection is challenging. - to answer the demands of the actors of the European territorial cooperation in the challenging socio-economic context of the Mediterranean. The three thematic Axis of the Programme – innovation, energy and environment – are complemented by a fourth cross cutting Axis devoted to the enhancement of the capacities of the national and regional authorities to contribute to the governance efforts in the Mediterranean. 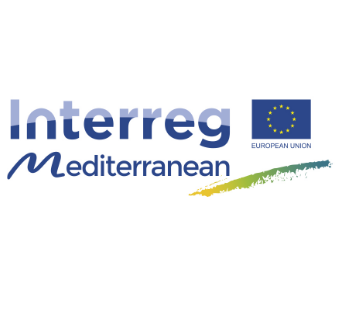 During the 2014-2020 programming period, the Interreg MED Programme participating States have invested in the innovative Axis 4, tackling the need to reinforce governance efforts in the Mediterranean Region. In fact, they acknowledged the need to improve the coordination of policies and actions to ensure more informed use of public funds and seize additional opportunities for sustainable development and growth. In line with the governance approach of the Axis 4 as well as the nature and purposes of Panoramed, the strategic projects to be funded represent the fourth category of project that complete the architecture of the INTERREG MED Programme. They must be the result of the overall approach guiding the process implemented within the PANORAMED project; namely a sound contribution and coordination with the key initiatives and dynamics currently active in the Mediterranean. The new architecture is aimed at making the project implementing simpler and more flexible, adapting to the research of both concrete and transferable solutions. Links between the domains of content and policy become tighter and are backed up by communication and capitalization activities structured on the programme level. The Cooperation programme developed by the participating States and validated by the European Commission, is completed with Terms of Reference that detail the aims of each Specific Objective. The above described approach is reflected in the top down governance project PANORAMED, an evidence-based platform designed directly by the Programme participating States and aiming at setting up a multilevel intergovernmental dialogue among national, regional, European and international key Mediterranean actors. PANORAMED platform is an innovative project that joins 21 ministerial and regional authorities of the European States of the Mediterranean shores, from Portugal to Cyprus, including three IPA Programme States, namely Albania, Bosnia and Herzegovina, and Montenegro. The partnership is complemented by Associated partners represented by the major Mediterranean actors - Cooperation Programmes, Organizations and initiatives - to concretely act complementarities and synergies in defining strategic projects and contributing to shared policies and frameworks of actions. These partners are the Union for the Mediterranean, the United Nations Environmental Programme/Mediterranean Action Plan (Barcelona Convention), the BLUEMED Initiative for research and innovation in the Mediterranean, the EUSAIR macro regional strategy facility point, the Conference for Peripheral Maritime Regions (CPMR), the programmes ENI CBC MED, INTERREG ADRION, INTERREG BALKAN MED, INTERREG EUROPE, INTERACT. Three Directorates General of the European Commission accompany the initiative. That are: DG REGIO (Regional Policy), DG MARE (Maritime Affairs and Fisheries) and DG NEAR (Neighbourhood and Enlargement Negotiations). Steered by the Spanish Ministry of Finance the project currently focuses on two key sectors, namely coastal and maritime tourism and maritime surveillance. Innovation will be integrated from 2019. Concretely this intergovernmental discussion forum will be fed with contents also coming from other programmes, initiatives and policies, striving towards a coherent and coordinated contribution to governance processes active in the Mediterranean Region, therefore supporting a more strategic vision of the whole area. Approved in June 2017, with a nine million euros total budget and running until spring 2022, the project ensures a medium/long time perspective and has the potential to give a positive contribution to new EU strategies in the Mediterranean beyond the time length of the INTERREG MED Programme. The overarching goal of the top down governance initiative is to reinforce the capacity of national and public authorities to contribute in a coordinated way to current and future strategies and initiatives at Mediterranean basin level. Contextually the aim is to enhance their capacity to liaise related developments with national and regional policies and multiannual action plans to enhance complementarities and facilitate a more informed alignment of diverse public funds. 2. to strengthen the relationships among Institutions that promote strategies, programs, projects and initiatives for the Mediterranean and to promote a systemic vision of the Mediterranean policies, sharing governance tools to improve the policies themselves. These objectives are consistent with the 2014-2020 programming priorities but look forward the priorities identified in the next programming period 2021-2027. The Mediterranean is increasingly taking on a central role on the political and socio-economic European and global scene, in fact EU and national policies and programmes, together with different initiatives, design and act their vision in the Mediterranean, witnessing a progressively more important investment of efforts and public funds. This dynamic will take even higher relevance in the years to come. This entails progressively growing responsibilities and demands for reinforced institutional capacity of the diverse policy levels involved to cope with the challenges that the process implies. In the perspective of the future definition of the main programmes related to the priorities of the next programming period, reinforcing further the constructive dialogue already active among the players involved in the definition and implementation of programmes, specific initiatives, strategies and flag ship projects in the Mediterranean is of strategic relevance. In this framework, it is crucial to coordinate and strengthen synergies to design and implement medium-long terms shared framework of actions and policy approaches as well as quality projects and therefore efficient use of available resources and virtuous territorial impact and response. This is a strategic pillar for the enhancement of sustainable social and economic growth in the Mediterranean, for strengthening relations between the Countries involved, reinforcing cohesion between territories and raising the awareness of citizens with regard to the identification of a common Mediterranean path, while respecting the specificities of each other. The above-mentioned goals are coherent with the 2014-2020 INTERREG generation that has the potential to achieve greater impact and more effective use of funds to deliver Europe 2020 Strategy2. Complementary to INTERREG, the EU Neighbourhood Policy, through its specific ENI CBC MED Programme (featuring similar schemes and addressing the EU same beneficiaries: local and regional authorities, universities, research centres, thematically specialised agencies, associations, networks, private companies), plays a key role in the Mediterranean region in promoting cooperation between EU and neighbourhood countries in sectors that are similar or complementary to those tackled by INTERREG. Beyond the EU Cohesion and Neighbourhood Policies, the Mediterranean context is further enriched not only by the cross border and interregional strands of INTERREG and by INTERACT, but also by numerous other initiatives, strategies, governance frameworks and financial schemes. In the Adriatic-Ionian sub-basin, the evolution of the Maritime Strategy for the Adriatic and Ionian Seas of 2012 lead to the definition of the EU macro regional strategy EUSAIR active since 20143. In the Western part of the Mediterranean, since early 2016 the 5+5 dialogue States have committed their efforts to jointly design, with the Directorate-General for Fisheries and Maritime Affairs (DG MARE) and the Union for the Mediterranean, the Initiative for the sustainable development of Blue Economy in the Western Mediterranean which was officially launched in late November 2017. The United Nations Environment Programme/Mediterranean Action Plan (Barcelona convention) represents the unique legal framework binding the 21 States around the Mediterranean Sea and the European Union as contracting parties. The Union for the Mediterranean is the intergovernmental Euro-Mediterranean organization gathering, on equal footing and representation, all 28 countries of the European Union and the 15 countries of the South and the East of the Mediterranean. Additional EU initiatives and programmes have invested in the area specific thematic focus. The EU Executive Agency for SMEs (EASME) supports the Directorate-General for Fisheries and Maritime Affairs (DG MARE) in developing and implementing two main policy areas, namely Integrated Maritime policy and the Common Fisheries policy, through specific calls for proposals focusing integrated governance of maritime and coastal affairs, integrated maritime surveillance, maritime spatial planning, marine data and knowledge sustainable economic growth, employment, innovation and new technologies, fisheries control and enforcement. Horizon 2020 – A clearer Mediterranean by 2020, is a key pillar of the EU environmental strategy for the Mediterranean. Its homonymous, the Horizon 2020 for Research and Innovation is the biggest EU programme ever with nearly 80 billion EUR of funding over 7 years, with specific actions focusing the Mediterranean. In the same sector the Partnership on Research and Innovation in the Mediterranean Area (PRIMA) has launched its first call for proposals to support sustainable management of water and agro-food systems through Euro-Mediterranean partnerships. The BLUEMED Initiative for the research and innovation promotes blue economy in the Mediterranean basin through a strategic agenda and framework for R&D, shared among EU Mediterranean States. This complex scenario makes the Mediterranean basin a multifaceted and vibrant area of cooperation with enormous potentialities and important financial resources already invested, for steady and healthy prosperous growth for all segments of the population. At different degrees, cooperation among the above mentioned key actors, initiatives, programmes is already included in respective agendas and acted, as it is recognised, incontestably, as the necessary way forward. Notably, in the context of not yet fully recovered economy, EU and national budgets constraints, competitiveness pressure imposed by globalisation, particularity hard for regional, local authorities and insular dimension, new societal and economic challenges migration phenomena imposes, high level unemployment especially among youngsters, environmental and climate change pressures, security challenges and unstable socio-political situation, particularity in the East South part of the basin. The definition of the Multiannual Financial Framework and Post 2020 policy framework and programmes represents the tools to ensure a successful and steady exit from the extraordinary measures undertaken in response to the economic and humanitarian crisis. Equally, to ensure that the necessary preconditions for long-term sustainable development across Europe are in place. The Interreg MED area combines many appealing features (climate, coastlines, landscapes, gastronomy, cultural heritage etc.) making it the most popular tourist region in Europe and one of the largest tourist areas in the world. According to the World Tourism Organization4 Southern and Mediterranean Europe5 is the most visited group of countries with 193 million arrivals in 2016. Although, forecasts say that Mediterranean Europe will continue to be a major destination with numbers growing to 264 million visits in 2030, the share of the visits from the total world tourism is slowly but continuously decreasing (1995: 16.8%, 2005: 16.2%, 2015: 15.6%)6 and the Mediterranean is losing competitiveness. The main challenges of maritime and coastal tourism in the Mediterranean are seasonality and the lack of effective cooperation among main tourism actors. The sector in the area is characterized by the high level of seasonality causing multifaceted problems linked primarily to economic, environmental and social sustainability. Seasonality is reflected in the strong concentration of tourist flows in time (in specific, often very short periods of the year, typically the summer period), and space (the coastal areas and a limited number of cities). Tourist overflows caused by the concentration of visits deteriorates the quality of life of the local population due to the excessive use of resources in a relatively short time period. The high volatility of demand ends up in the overuse of the physical infrastructure, public services, human resources and the environment in certain short periods, and leaves unused capacities in the rest of the year. These are reflected in lower service quality level and the suboptimal use of resources, which can eventually result even in the depreciation of the overall touristic experience leading to already perceptible reduction of expenditure per visitor. Seasonality affects primarily coastal destinations significantly limiting the positive socio- economic impact generated by coastal and maritime tourism. Tourism overflows and seasonality also create economic leakages in the national economy, overuse of natural resources that may cause an ultimate exhaust of them and unequal distribution of income within the same nation. The number of new innovative offers capable of decreasing seasonality is relatively low in the area. Whilst the tourism sector in the MED area is one of the core generators of economic growth, the cooperation among main tourism actors is insufficient. The lack of integrated planning of tourism and its fragmented governance limited to national, sometimes even regional or local levels hampers the sustainable growth of the sector, and also contributes to creating substantial pressures on local communities and raising environmental concerns. A common vision of the MED area to strengthen its position in the global tourism market is missing. There is no integrated strategic planning for the whole area, and there are no (or only weak) synergies between regional and/or national touristic policies. Common marketing strategies and respond mechanisms regarding new markets (especially the fast-growing Asian countries) are not in place, and the ratio of branding strategies and product standardization is low across the region. There is a room for increasing effectiveness of the regulatory and legal frameworks for tourism in the area. Statistical data about the region and the sector are not sufficient either in terms of availability, quality or compatibility, and the interpretation of available indicators are sometimes inconsistent. There are no (or only weak) synergies between tourism and other business sectors. Tourism enterprises have an important role in increasing the number of visitors and mitigating seasonality by innovative offers. In the meantime, business climate is not favourable enough for them to successfully contribute to these processes, and they are not integrated enough in the European, national and regional economies. In this context, they have to be more innovative to provide new offers to the visitors, consequently, business entities in the tourism sector has to be strengthened and supported in these efforts. Despite the obvious differences across MED territories in terms of geographical features, development level, accessibility and tourism potentials, the MED remains a unique and homogenous area with a single image from a global perspective. The common features deserve to be enhanced in order to make the MED area more characteristic and attractive not only as a tourist destination but also for local communities and potential investors. In order to support the sustainable development of MED tourism, countries should build synergies towards the common interest of preserving identities at local level, and even more developing and promoting a common MED identity and finding solutions to combat common challenges, like e.g. seasonality, tourist overflows, overconsumption of limited local resources and environmental challenges. It also has to be underlined that future tourism development policies and co-related actions should be strongly integrated with other linked policies, especially those dealing with Integrated Coastal Zone Management (ICZM) and Maritime Spatial Planning (MSP) embracing a wide range of issues from economic factors, urban planning, resources management to social issues. At international level, tourism depends on communication and cooperation between the countries according to a complex network of laws, regulations and policies. At national level, it generally follows the rules governing working conditions including work force vacation and holiday, income levels, social welfare, education etc. Organizing the spatial behaviour of these two levels of tourism activities and enjoying the socio-cultural, economic, political, technological, environmental benefits of this industry require providing specific models. In this way, guidelines and strategies can be designed with a long-term perspective in order to gain tourism profit as well as the environmental protection. Cooperation across territories leading to joint responses is key for strengthening the MED area’s position in the global tourism market, meanwhile raising the quality of life in the whole area. The strategic projects are “multilevel” projects implemented by partners able to influence or even better directly define policies. The actions foreseen must be inter-sectoral actions, strictly coherent and linked to each other and beyond this must converge towards a common objective of territorial development and justify a unitary implementation approach. The collective ownership of the strategic projects will enable them to translate into effective political leverage and showcase good examples of regional cooperation. On this basis, the strategic projects shall be considered as the initial concrete element of a broader and longer process able to facilitate the agreement and design of future planning and activities in the tackled themes. The strategic project should be implemented following a territorial, integrated, inclusive and participative approach. This means that the projects should facilitate the launch and reinforcement of a process that could be of interest for all the territories of the participating countries to Interreg MED Programme, involving all the relevant regional and local institutions as well as the local communities and the civil society. - to facilitate and prepare the scale up toward concrete wider and long-term initiatives, beyond the strategic projects themselves, and in Post 2020 perspective. In order to reinforce the impact of strategic projects, the maximum consistency must be ensured with the main guidelines and strategies of the European Union, such as, for example the provision of the Marine Strategy Framework Directive and those of the Program participating Countries to decline together with a vision that targets the next programming period, anticipating the definition of adequate implementation procedures in response to the priorities of the post 2020. - Consistency between project objectives with relevant legislative and policy frameworks at International, EU, national and regional level. - Involvement of key actors having the adequate position and competencies to propose or change norms, regulations and plans. - Improvement of policy and programming instruments for enabling multilevel and transnational governance application. - Commitment of key actors to ensure policy support and mainstreaming of projects results. These Terms of References address only Strategic Projects. The main objective of the project is to increase the attractiveness and competitiveness of the Mediterranean destinations in the global tourism market. This is inevitable to realise the long- term vision of the tourism sector in the MED area to be a globally attractive, smart, sustainable and inclusive touristic region. According to an integrated approach, the attractivity of destinations means: attractive for the people living in the area, for the national and transnational tourism value chains, for the public and private investors and, as a consequence, for the tourists. However, attractiveness is not sufficient in itself. At the same time, tourism in the Mediterranean should also preserve its competitiveness in the long run. These elements of the main objective can be realised especially by addressing the main challenges of the sector in the area, namely the high-level seasonality and the insufficient cooperation between the main tourism actors in the Mediterranean. - type of visitors (increasing the share of domestic tourism and new market segments, like tourists coming from the fast-growing areas of Asia). Reducing seasonality should not be coupled with the reduction of the number of tourist arrivals in the Mediterranean. Visits needs to be increased, however in a smart, sustainable and inclusive way, presenting a plan of options in the MED area, suitable to pursue the sustainable path (e.g. for less-pressured territories), and at the same time consolidate the all-year-round MED area awareness. - Common contribution to the implementation of WESTMED, EUSAIR and UNEP/MAP Mediterranean Strategy for Sustainable Development, as well as to Bologna Charter, Union for the Mediterranean blue economy, among others. The sub-thematic focus of coastal and maritime tourism was identified based both on the results of the desk analysis of former (or still running) projects in the field of coastal and maritime tourism, and on contributions collected during specific meetings, interviews and focus group discussions of national/regional experts as members of the Coastal and maritime tourism Thematic Working Group, or involved in the implementation of former projects. Being seasonality and weak cooperation of actors identified as the main challenges for MED tourism in the following period, the corresponding sub-thematic focus is related to integrated multilevel planning and innovative offer. - Integration of tourism planning into wider development strategies, together with mobilizing key players both at local and specifically at transnational level will contribute to the sustainable development of territories, creating synergies across MED countries and promoting the awareness of the MED area as a unified and, at the same time, diversified destination globally. - Innovative offer is meant in a broader sense, including also innovation of methodologies and tools used in integrated planning, as well as the creation of new inter-regional offers which are inevitable for reducing seasonality and mitigating its negative effects. Strategic projects need to take into account all aspects of sustainability (economic, social, environmental) at the planning, implementation and follow-up of tourism strategies and interventions, including the design of new, innovative and diversifying tourism offers, in order to mitigate negative effects of seasonality in the MED area. Empowering the public and private actors of the tourism sector (people, institutions, businesses) in terms of increased capacity and improved skills along the local tourism value chain is key to build sufficient cooperation between them, to prepare them for new demands of future tendencies and for targeting the global market in a proactive way. It needs to be underlined that the two strategic projects are strongly interlinked both in terms of their contribution to the fulfilment of the main objective and to the mitigation of negative effects of the challenges. Consequently, strong interaction and communication channels between the two projects must be ensured to enhance coherence and guarantee optimal results. Due to time and budget constraints, the projects will focus on a limited number of pilot activities that will test the concrete implication of such multilevel governance approach for specific tourism dimension and geographic areas. Data knowledge improvement: Comparable and usable data collection, by also making data accessible. Enhanced participatory and integrated multilevel planning: Active involvement of MED territories through cross-sectorial linkages contributing to informed planning. More sustainable tourism: Demonstrated contribution to the development of more sustainable transnational tourism offer in the MED area and its diversification. Improved policy environment and processes in tourism: Simplification of the policy framework to improve the business ecosystem. Increased capacities and higher awareness of regional/local stakeholders in MED countries to implement new business models and cross sectorial cooperations such as public private partnership. Actions aimed at fostering a sustainable local/regional/national development of destinations, participation, capacity building, innovative pilot actions etc.